From hosting and facilitating international crews to being your one stop production shop! We can offer you a complete solution from pre to post production, servicing local and international production companies, corporates and broadcasters. Run by a young, focused and motivated team we are always looking to improve, excel and inspire. 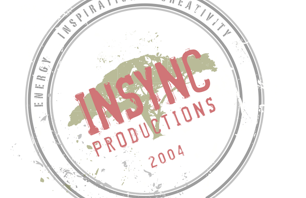 Currently, Insync Productions is working on Roughing it Out, a children's environmental reality series. Shot at various locations in South Africa, the series aims to encourage children to engage with their environments in wild and rural areas. Using teamwork, social, cognitive and emotional skills teams are required to solve a variety of eco-challenges. Through our various productions we have made connections and forged lasting relationships with several conservation bodies, one of which is the Dyer Island Conservation Trust. As a production company committed to the improvement in our natural world we have partnered with the Dyer Island Conservation Trust as a filming partner, providing film services to their varied marine research initiatives.